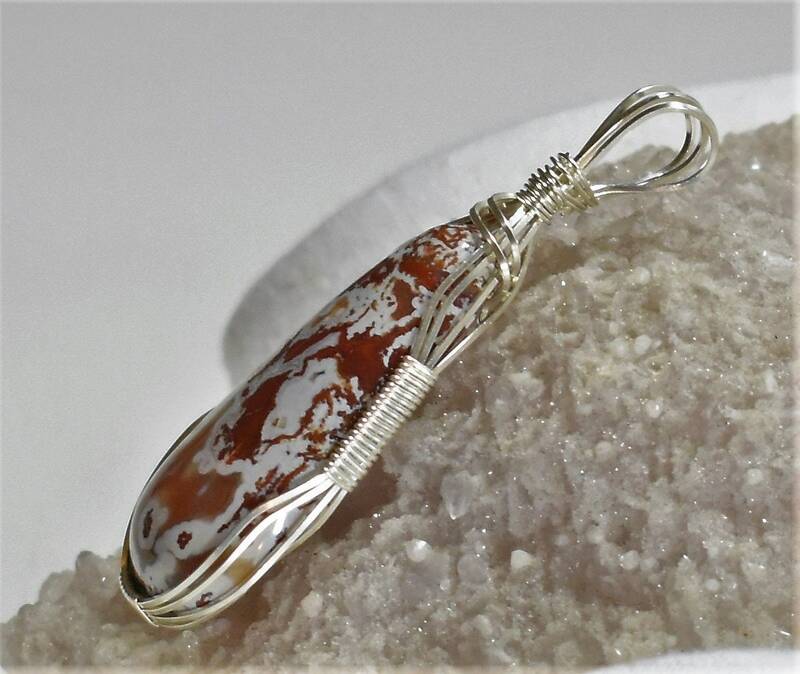 When I purchased the slab this cabochon came from, I was really drawn to it's vibrant colors and now that I see it cut and polished, the colors jump out even more! 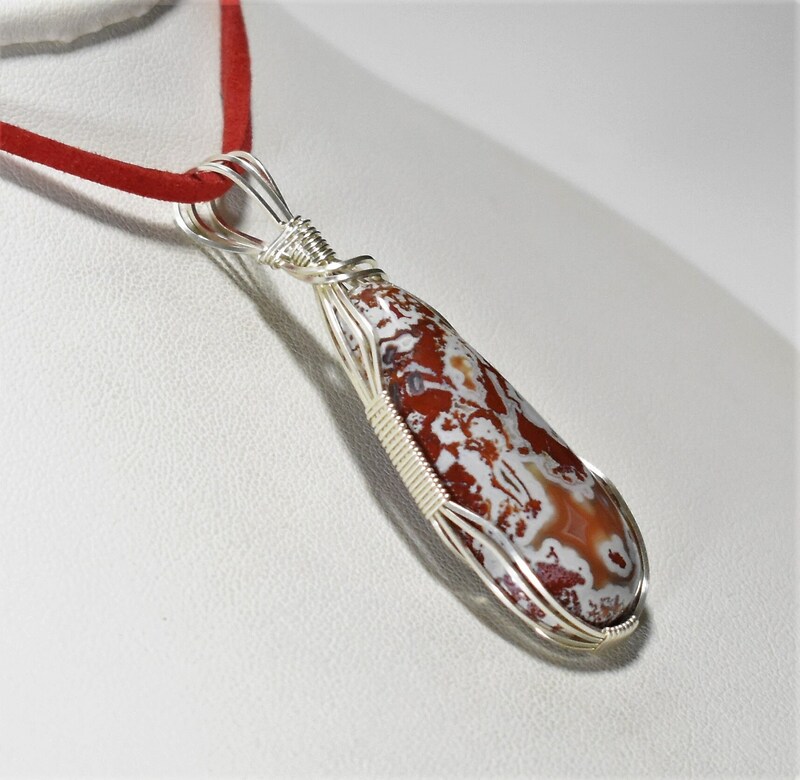 It has a gorgeous, deep red color that really provides a stark contrast to the white, and there is even a little yellow and a milky orange agate area :-) I wrapped it in .925 Sterling Silver Wire and paired it with a red suede neck cord. 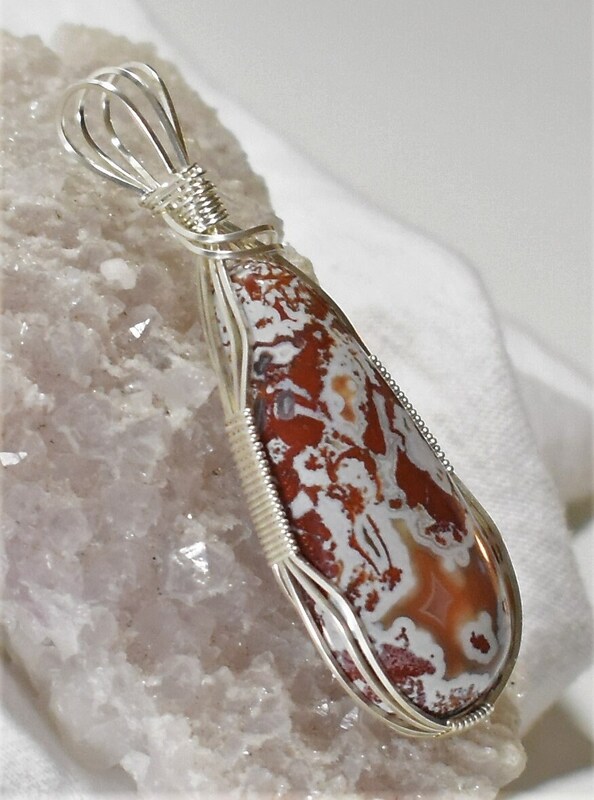 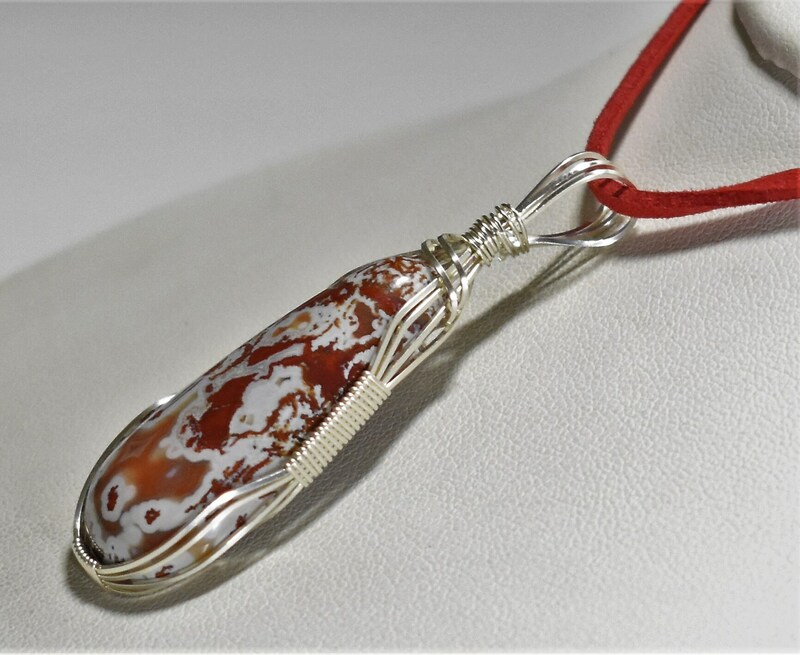 Crazy Lace Agate is sometimes called the Laughter Stone, or "Happy Lace", and it promotes inner stability and composure. 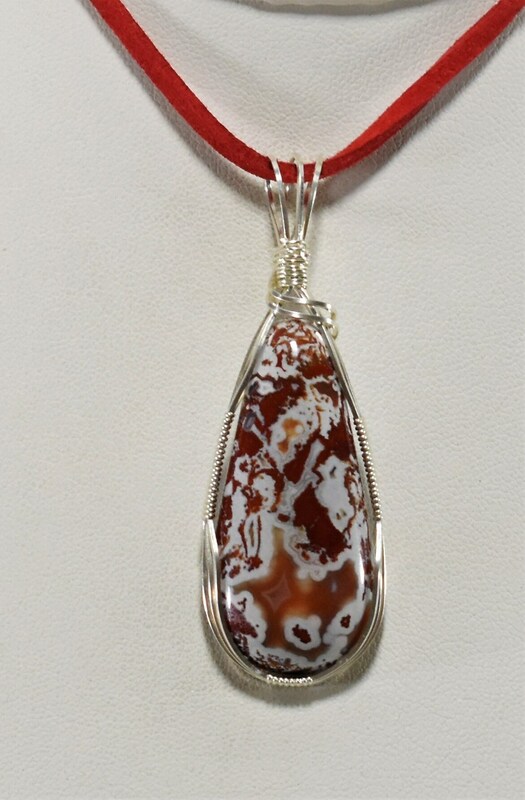 It is a stone of support and encouragement, promoting security and self-confidence.. Its graceful design, in random lacy patterns, creates a circular flow of energy, stimulating for the mind and attitude.